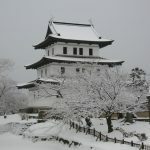 Toyama castle was where Toshitsune Maeda’s second son, Toshitsugu founded Toyama domain for 100 thousand Koku after the death of Narimasa Sassa. 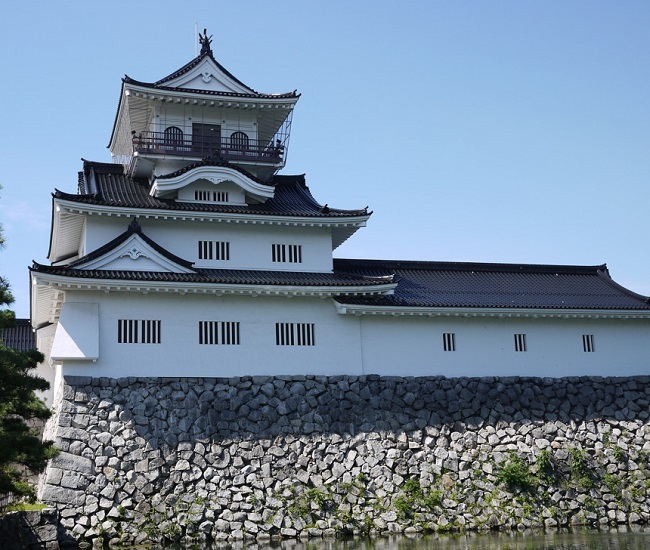 Toyama castle was at Marunouchi, Toyama-shi in Toyama prefecture. It was also called Uki castle. 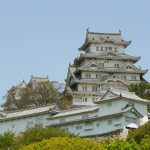 It was called Uki castle because it looked as if it was floating on the water, using Jinzu river as a protection of the castle. 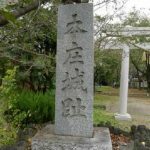 During Muromachi period, Hatakeyama-shi, who was one of the Sankanrei (Hatakeyama-shi, Hosokawa-shi, Shiba-shi), was the provincial military governor of Ecchu but he never returned to Ecchu, and he appointed Shiina-shi for the East part, and Jimbo-shi for the West part as Shugodai (deputy of Shugo, provincial constable). 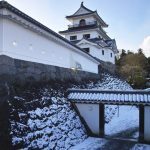 In 1543 Toyama castle was built after Nagamoto Jimbo, who was plotting to conquer the East side of Ecchu, ordered his vassal, Katsushige Mizukoshi, to build a castle in Azumi-go which was based at the East side of Jinzu river. 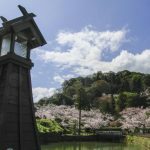 However, the remnant from early Muromachi period was exacted recently, and it is now said that the start of the construction of the castle was even before that. 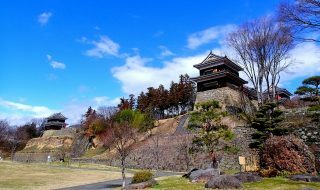 In 1560, Nagamoto Jimbo was exiled from Toyama castle by Shingen Uesugi, but in 1578 Nagamoto Jimbo’s son, Nagazumi Jimbo, took over Toyama castle. However in March 1582, Nagazumi was overthrown by Uesugi’s vassal’s betrayal. 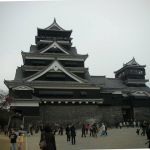 Because of this, Nobunaga’s vassal, Narimasa Sassa, became the new owner of Toyama castle. 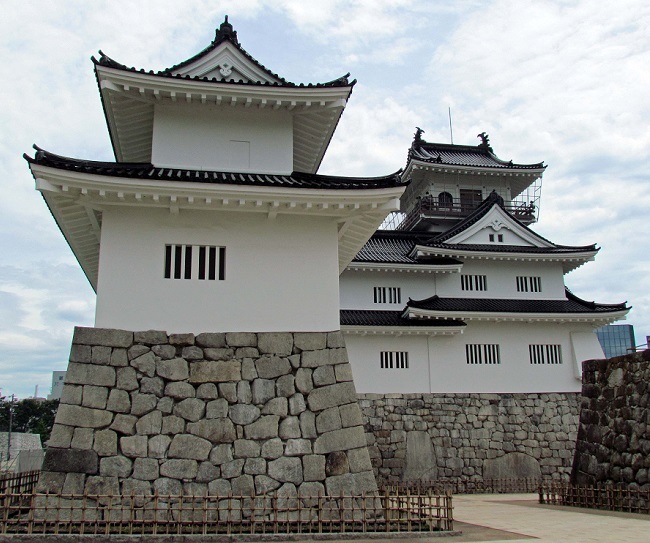 He started to remodel Toyama castle after he became the owner. In 1582, Nobunaga Oda was killed by Mitsuhide Akechi at the incident of Honnoji temple. 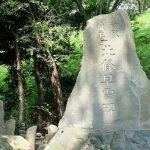 After that, Hideyoshi Hashiba, who was the commander of Chugoku region, won against Mitsuhide Akechi at the battle of Yamazaki. This made him the successor of Nobunaga. 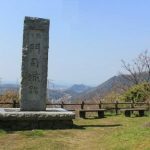 Nobunaga’s children, Nobukatsu and Nobutaka, and Katsuie Shibata and Kazumasa Takigawa were not happy about it, and dcooperated and fought against Hideyoshi Hashiba, but they were defeated at the battle of Shizugatake. Katsuie Shibata committed suicide, Kazumasu Takigawa surrendered, and Toshiie Maeda was also defeated by Hideyoshi leaving Narimasa Sassa alone in Ecchu. 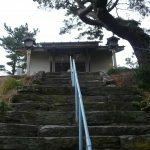 In August 1585, Narimasa surrendered after being surrounded by the army led by Hideyoshi, and Toyama castle was destroyed. 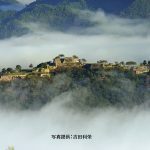 Ecchu province was given to the Maeda family, and this made them the Taishu (governor general) of the three provinces, Kaga, Noto, and Ecchu. Toshiie Maeda died after the death of his friend, Hideyoshi Toyotomi. Because of this the forces of the Tenka had changed drastically and Ieyasu Tokugawa started to show his influence. Toshinaga was the head of the Maeda family then, and Ieyasu was a threat that time, even sending Toshiie’s wife to Edo as a hostage. 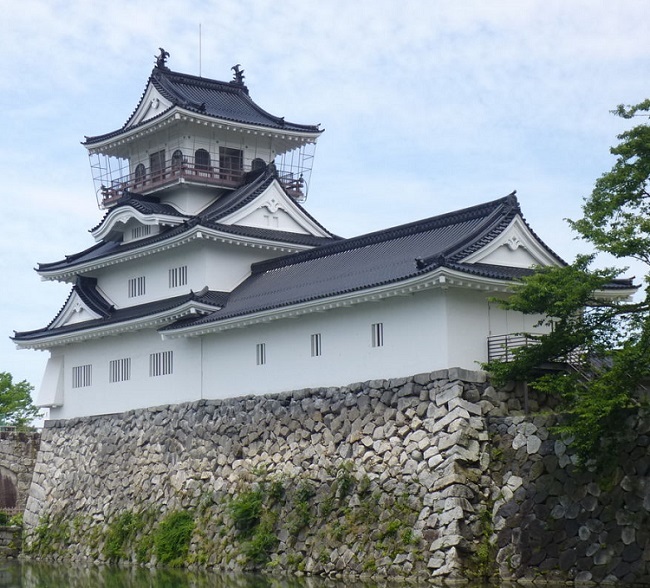 On the other hand, Toshinaga Maeda moved from Kanazawa castle to Toyama castle and remodeled it, and used it as his hiding castle. 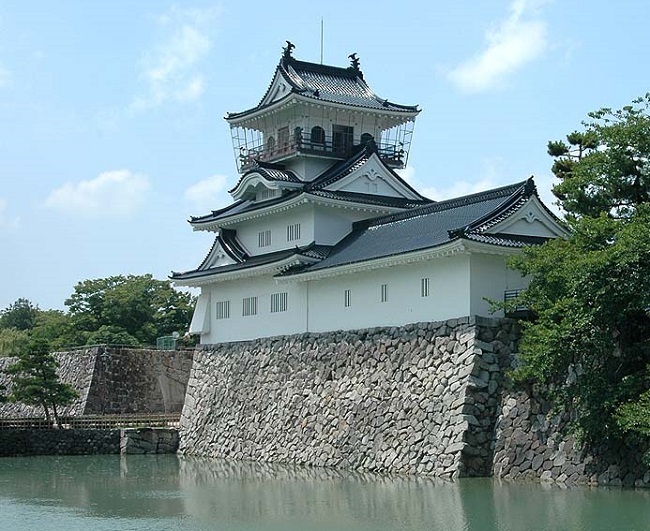 in 1609, he built Takaoka castle and moved there since the important parts of Toyama castle were burnt down, and Toyama castle was handed down to his vassal, Yoshitada Tsuda. In 1639, Toshitsune Maeda gave 100 thousand Koku to his second son, Toshitsugu, and Toyama domain was established. 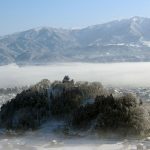 In 1640 Toshitsugu made Toyama castle, which was the territory of Kaga domain at that time, as their temporal castle and entered Ecchu. 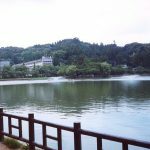 In 1659, he exchanged the territories with Kaga domain and Toyama castle became their residence along with the land around the castle. 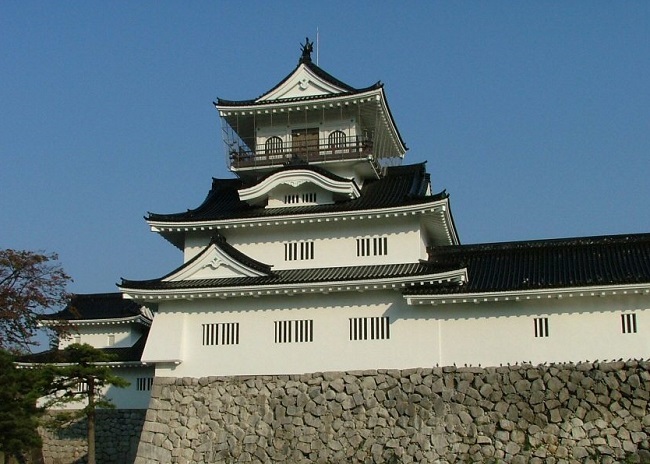 In 1661 he remodeled Toyama castle after receiving permission from Bakufu, and after that it was used as a residence of the Toyama Maeda family until the Meiji restoration. 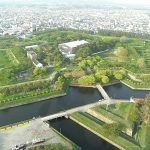 Currently the ruins of the castle is a park called Toyama Castle Ruin Park.